This exchange was a great experience for me. I learnt a lot of new and useful means and ways to develop one’s audience and discovered how a working day in a bigger cinema, that is 900 km away, looks like. The Agrafka and Kika cinemas from Krakow received the Europa Cinemas Award for "Best Young Audience Activity" in 2017. They have also won the Polish award for "Most Welcoming Cinema for Children" four times. As I was determined to deepen my knowledge on the topic of Young Audiences, I decided to learn strategies and got ideas from the best. The cinema where I work (Kino Vrhnika, 20 km from Ljubljana) is a small town cinema, a multi-purpose complex that is also used for other events in our town, such as concerts, theatre plays, exhibitions and similar cultural events. In our programme, we try to find the best balance between quality mainstream films and independent ones, mostly from Europe. Since we need to share our space, we are usually able to run approximately 300 screenings per year. The cinema Agrafka, located near the city centre of Krakow, was opened in 2009 with 1 screen of 109 seats. The second cinema, Kika, was opened in 2012 in a residential district with 3 screens with 41, 20, and 12 seats. Their main focus is the promotion of European film culture and developing educational programmes for young audiences. Agrafka and Kika are located in the second largest city in Poland, with a population of roughly 750,000 inhabitants. Our cinema is situated in a town with less than 10,000 inhabitants. Despite this huge difference, I was surprised by the many things our cinemas share in common. 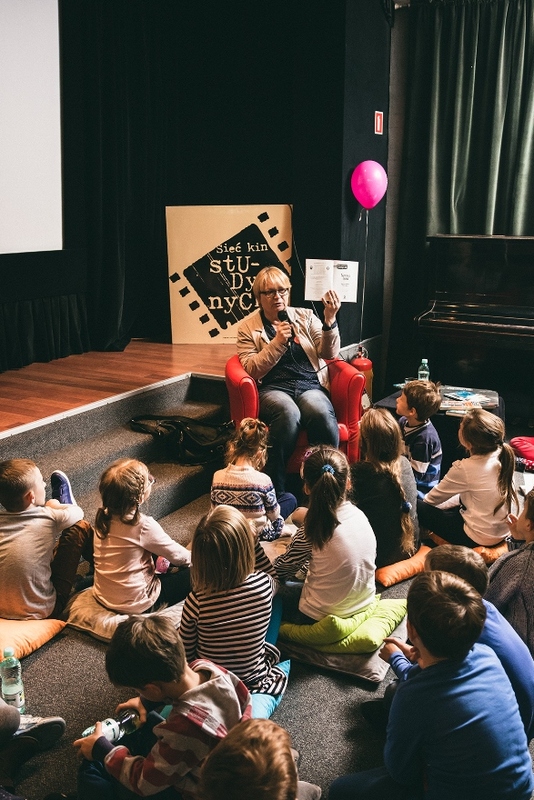 At Kino Vrhnika, a few programmes are specifically dedicated to young audiences, such as supervised school screenings with an educational scheme and special screenings during school holidays followed by after movie workshops. Agrafka and Kika have set up a young audience education programme called Kino z klasą (Cinema with Class) dedicated to schools. The programme attracted almost 6,000 young participants in 2017. Curated films for students of all ages are screened. Before each screening there is a short introduction by one lecturer and afterwards a Q&A is organised – engaging the students in a conversation. The great thing is that they schedule five screenings in a year with every class - watching different movies and talking about different topics. It enables lecturers to evaluate the progress that is made with all the classes after each visit at the theatre. This is the difference between our approaches, as we usually do just one screening with every class per year - mainly because most of the teachers still don't consider film as a genuine component of education. 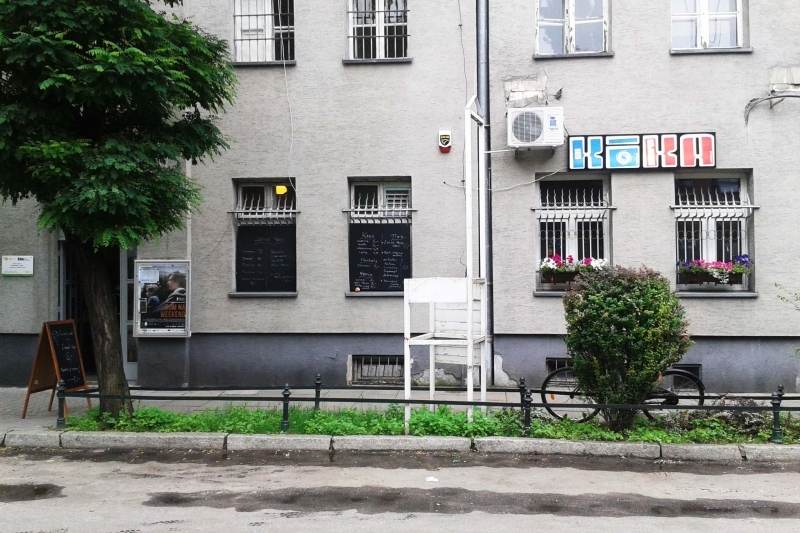 Apart from their regular programme, these two polish venues provide two additional programmes for young audiences. On Sundays, the staff in Kika put together workshops after morning screenings for the youngest visitors and in Agrafka there is a reading & watching programme. I attended a screening with a reading session in Agrafka. Before the film, the lecturer went through a chapter or two from a book that is somehow connected with the cinematographic work. Afterwards a workshop allowed the kids to express their feelings about the book and film using colors and shapes. I was also interested in their special events: specific screenings for parents with new-borns, screenings with lectures for seniors, secret screenings for women only, cinema evenings with wine and food tasting, an open-air cinema on the roof and more. The event that is common to our cinemas is the screening for seniors. In Agrafka, the screening takes places every Saturday at 11 am. There is a short introduction before the screening and a discussion with a lecturer. While we choose a film each month (from any period) that is close to the taste of seniors, which is not always an easy task, the staff at Agrafka screen films, chosen from their regular programs on a weekly basis. Most titles they screen for seniors are the same as ours. But I also noticed some titles that I would not feel comfortable screening to our seniors, for example: Ah-ga-ssi by Chan-wook Park (KR) or Kraftidioten by Hans Petter Moland (NO). When considering these screenings, I might conclude, we have different audiences, as our seniors seem to like happier films that are not too long. Another interesting event which is organised once a month is the "Secret Screening", for women only (Szpilki w Agrafce). Attendees learn what film they’ll be watching only on the night of the screening. This event is sold out very quickly. Mostly premieres of European films are shown. Some gifts for women are available and a popular radio journalist, who hosts the event, invites a special guest for Q&A. The secret titles that were chosen over the first five months this year were: Viktoria by Maya Vitkova (BG), Maria by Callas by Tom Volf (FR), Finding your feet by Richard Loncraine (UK), L'amant d'un jour by Philippe Garrel (FR), and Made in Italy by Luciano Ligabue (IT). Not all of the strategies that are used in Krakow could be implemented in our cinema. Mostly because we have a multi-purpose hall that is not always available for movie screenings, and also because we have less visitors. Nevertheless, I will try to adapt our programming to include a monthly morning screening for young audiences over the weekend with a workshop. Also the idea of a screening specifically for parents with new-borns sounds great. We’ll try it in the near future and if there is enough interest, we’ll integrate it in our schedule. This exchange was a great experience for me. I learnt a lot of new and useful means and ways to develop one’s audience and discovered how a working day in a bigger cinema, that is 900 km away, looks like. Even if we come from a different countries and we have slightly different programming methods, we still have a lot in common. I would like to thank the whole team of Agrafka and Kika cinemas for the time they spent with me and Europa Cinemas for giving me the opportunity to do this amazing exchange.